The state Attorney General's Office reported that 331 bodies have been found, of which only in the town of Durango have been exhumed 301 bodies in 14 mass graves located in the state. The agency explained that the April 11, 2011 the first clandestine grave in the Constituent colony was found and the last was found on December 19 in the town Columbus, near the capital of the entity and where remains of 50 found persons. In the state capital nine mass graves were located: the two already mentioned, other sources in the colony, a more in Green Valley, two in the Guadiana Valley, one in El Consuelo ranch, one in the division and Caminos del Sol one in Jardines de Durango. 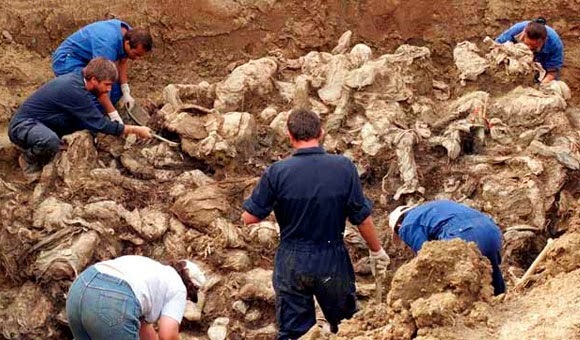 The Secretariat of National Defense (Department of Defense) through the X Military Zone, and the Ministry of Public Security of the state reported at the time of the discovery of four more graves located in the cities of Lerdo, San Juan del Rio, Santiago Papasquiaro and Cuencamé. In Lerdo 10 bodies were found; San Juan del Río nine; Santiago Papasquiaro, eight, and three more in Cuecamé, which in total add up to 30 bodies. The agency noted that these bodies were taken to the Forensic Medical Service and various tests were performed for identification, including DNA samples were taken. So far the prosecution has reported 331 such corpses, only 37 have been identified; by these facts have arrested 10 people, five of them were arrested in the town of Cuencamé and five in Lerdo.